When it comes to vehicle safety most people automatically assume that bigger is better, yet this is not always the case as the Insurance Institute for Highway Safety (IIHS) has discovered. Modern vehicles have complex structures that are designed to absorb accident damage and protect the occupants inside. A bigger, heavier vehicle will have to absorb far more energy in a frontal crash than a smaller car. It is perhaps no surprise then that when the IIHS first introduced the driver-side small overlap test in 2012, pickup trucks initially performed the worst out of all vehicle categories. Today most pickups receive a good rating in this test. However, in 2017, when they introduced the passenger-side overlap test it was the larger trucks that once again struggled to meet the recommended safety levels. 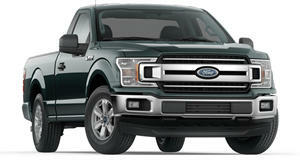 This year, the IIHS rated a total of 11 crew cab pickup trucks in the passenger-side test: four small and seven large. 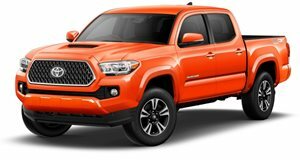 The Toyota Tundra, a large pickup, earned the only poor rating, while five other trucks rated as marginal performers. 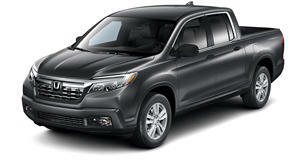 The Honda Ridgeline earned an acceptable rating and is the only pickup so far to qualify for the 2019 Top Safety Pick award but only when equipped with the available good-rated headlights. Of all the trucks tested, the Ford F-150 performed best in the passenger-side test, neither dummy in the test recorded any potential injuries. The Tundra's dummy passenger indicated that injuries to the right lower leg would be likely in a crash of this severity, and injuries to the right hip would be possible. The F-150 has one of the newest basic structures in the group and this (perhaps unsurprisingly) proved to be an influencing factor in how the truck performed. To further highlight this, the Tundra (based on a 2007 design), and the Nissan Frontier (a 2005 design), both scored marginal results in the driver-side overlap test. So the lesson here is that if you are going to buy a truck make sure it is based on a modern design and don't assume that bigger is necessarily safer.